Cafe Style Shutters are designed to cover up the lower part of your window to provide part privacy without obstructing the view. This style is especially popular for kitchen sink windows which may overlook a pretty garden or scenic views that you can enjoy while doing the dishes. They also allow extra light into your kitchen whilst still providing partial shade and privacy. Ideal for windows positioned behind the kitchen sink, waterproof shutters will withstand plenty of splashes from dish washing. 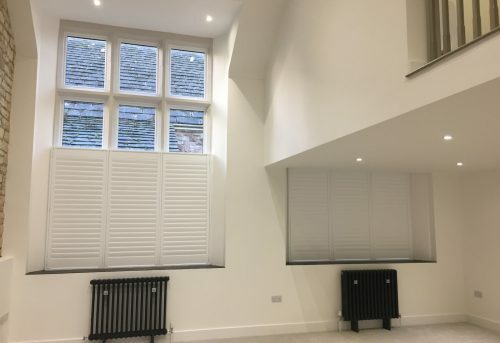 Our waterproof shutters are made from strong ABS plastic that is perfect for rooms that can be damp and they are easy to wipe clean. This ensures that the shutters will survive the humidity of your kitchen and maintain their shape even when you’re cooking up a storm! 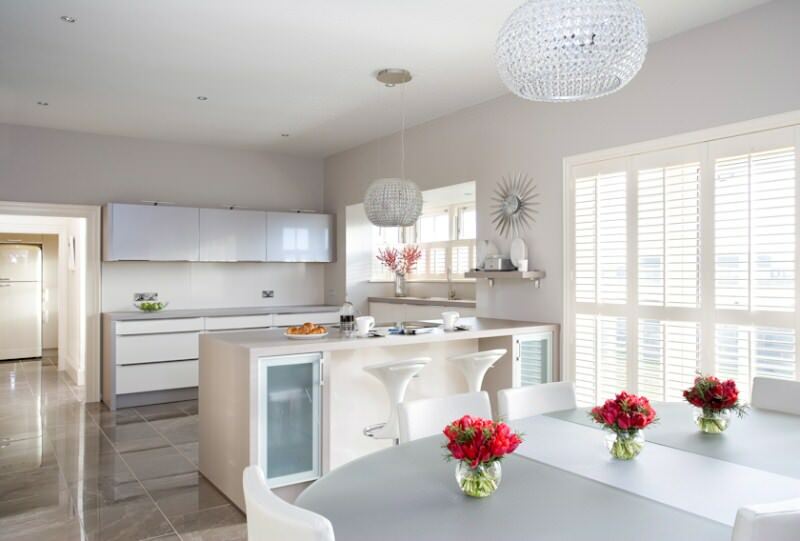 If you have an open plan kitchen-diner with large bifold or sliding patio doors, Tracked Shutters are a fantastic window dressing choice. 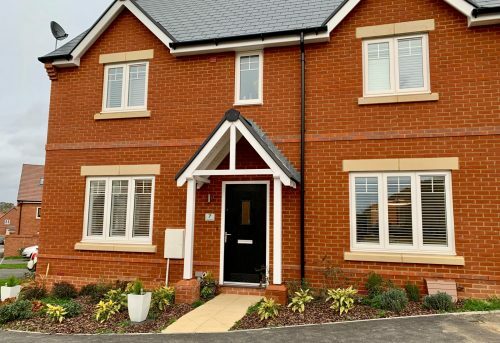 Designed to fold away to the side, Tracked Shutters provide you with full or partial privacy or shading, or they can be pulled away to open up the space completely and allow you to bring the outdoors in and enjoy alfresco dining. If you want complete privacy for your kitchen, Full Height Shutters are the best choice. Covering the window from top to bottom, you can tilt the louvres to adjust the level of privacy or shading as required. 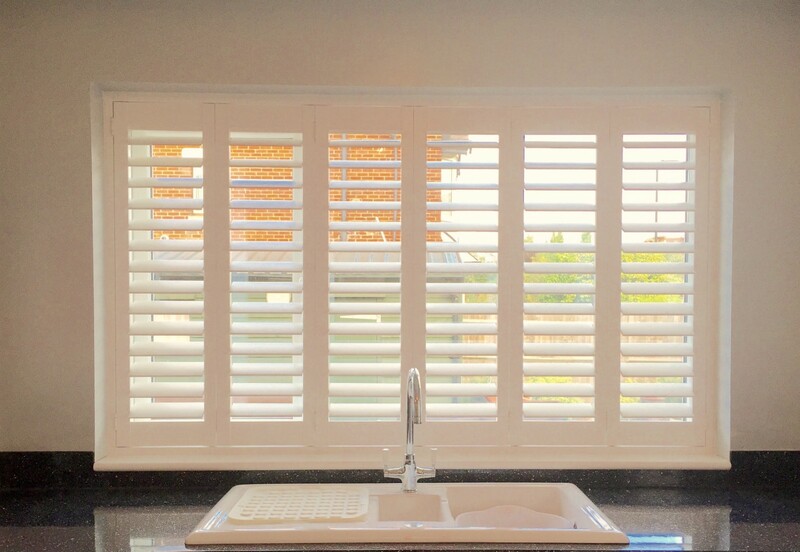 Full Height Shutters are particularly popular for kitchens that are overlooked or adjacent to a busy road or walkway. 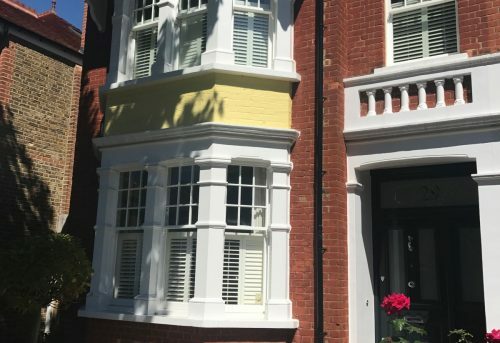 Shutters can be made in a variety of shades and colours to suit your interior design style. If you want a neutral style we have a variety of white shades to choose from. 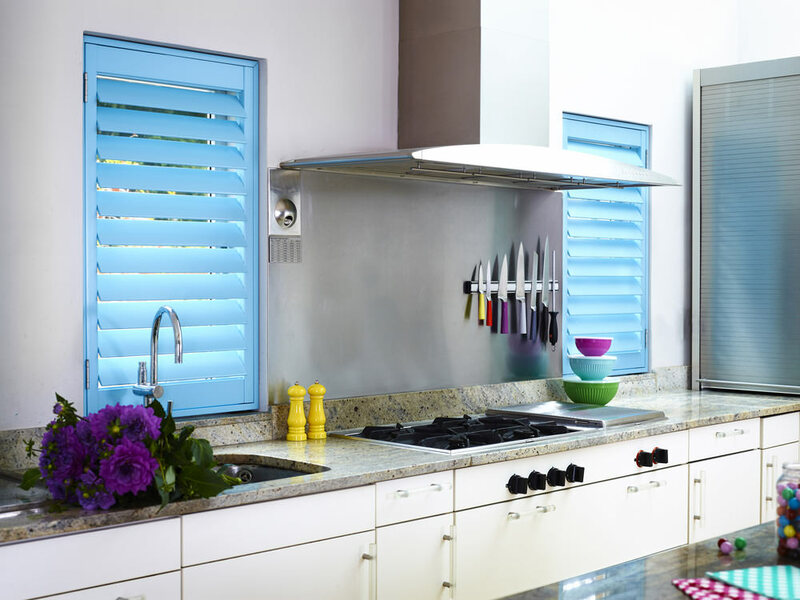 Alternatively, if you want to add a splash of colour to your kitchen, why not make a feature of your wooden shutters and choose a bright and vibrant shade to really make the window pop?! 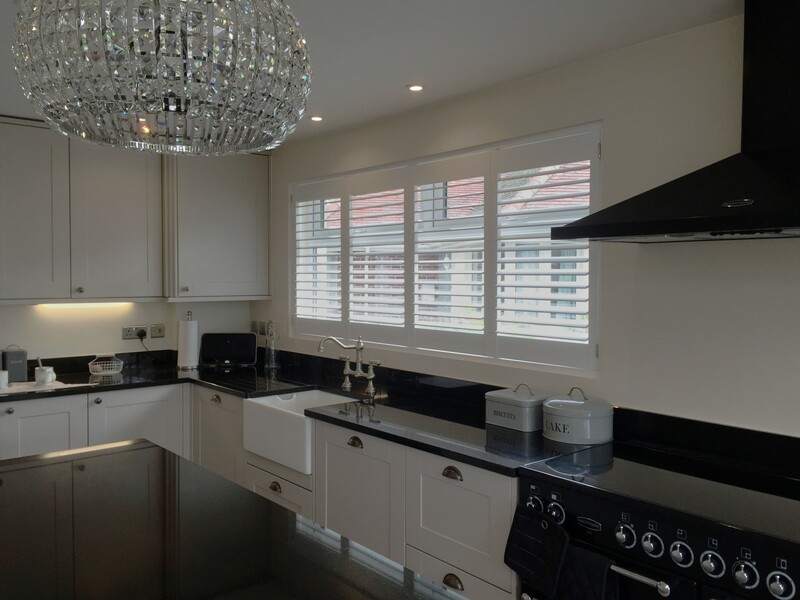 If you would like to find out which style of shutters would be best for your kitchen, contact our friendly shutters sales team to chat through the options. Call 02381 290130 or email sales@shuttersouth.co.uk. ← Can shutters be used on sliding doors?